French champagne house Cuperly are a sponsor of Ligue 1 team Stade de Reims, and their top quality vintage is served in the executive box during home games. 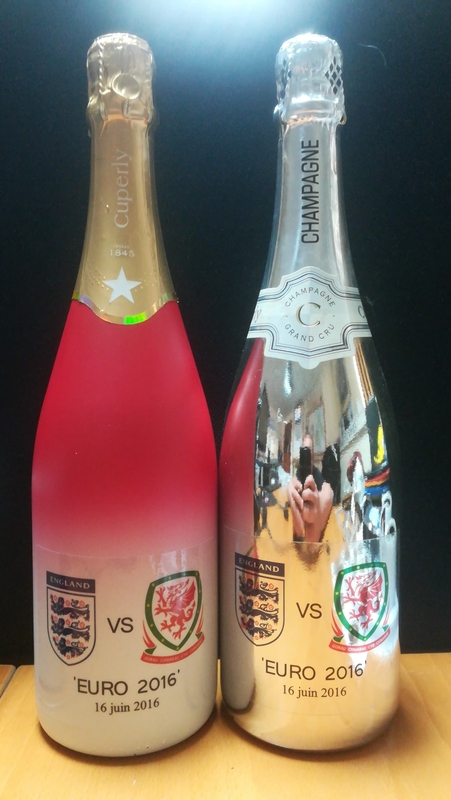 These two prototype bottles, the only two of their kind in the world, were produced for an unsuccessful pitch to the FA ahead of the England vs Wales clash at Euro 2016. They come to us via a well known, UK based Stade de Reims collector and historian who was involved with the pitch.